TC AIR supplies Fujitsu’s stand-alone units for individual rooms. It is the most popular type of air conditioning as it economically cools or warms a single space. Plus with extra features to increase energy efficiency its even more affordable to make an area of your home comfortable – regardless of the weather. Trusted, reliable comfort, with a range of options, with a style to suit many large rooms. Quickly and efficiently conditions any room to ideal comfort levels. Easy to use controllers help you get the best out of your system. Energy Efficient: For quick relief Fujitsu’s Inverter air conditioners work more quickly and quietly. They can also manage greater extremes in temperature; and can be up to 30% more efficient and economical than many conventional fixed speed units. Economical Operation: The Classic Range’s Economy Operation is an energy saving setting, allowing the set temperature of the indoor unit to change by one degree intervals, which limits the maximum energy usage of the air conditioner. Filtered Air: The Classic Range has filters that use static electricity to remove dust and fine particles in the air that are too small to see like tobacco smoke and plant pollen. The filter contains catechin, which is highly effective against bacteria growth, making it safer for the entire family. A stylish, standardised design across the range, so there’s a consistent look and feel throughout your home. The Lifestyle Range are the most energy efficient air conditioners designed by Fujitsu, with some models boasting up to a 5 star energy rating. Plus these models have a human sensor control, which delivers optimum efficiency and temperature control. Energy Efficiency: The Lifestyle Range series are some of the most energy efficient air conditioners Fujitsu have designed. With built-in features such as high efficiency DC components, power diffusers, and high density multi-path Heat Exchangers, these air conditioners can use up to 30% less power than conventional fixed speed air conditioners. With some models reaching a 5 star energy rating, year round comfort can be more affordable for you and your family. Human Sensor Control: The sensor detects when occupants leave the room without and switches the air conditioner into energy saving mode after 20 minutes and returns the air conditioner to normal operation on their return. Ease of Use: All come with a simple and easy to use controller. With features such as low noise mode, economy operation, and program timers – all with the touch of a button. The Fujitsu Designer Range has a sleek, modern finish. The combination of stylish looks and intelligent features makes them sophisticated in not only in form, but function as well. The Designer Range models feature human sensor control, which delivers optimum efficiency and temperature control and simple and intuitive controllers for comfort at the touch of a button. Award Winning Design: Fujitsu’s Designer Range have a sleek, modern finish, receiving two international design awards; The ‘iF Product Design Award 2012’ recognising innovative product design, and the ‘Good Design Award 2011’. Energy Efficiency: Built-in features such as high efficiency DC components, power diffusers, and programmable weekly timers, mean these air conditioners can use up to 30% less power than conventional fixed speed models. With some Designer models reaching a 5 star energy rating, year round comfort can be more affordable for you and your family. With slim and lightweight design, these models are ideal for ceiling installation. Plus they’re extremely quiet and energy efficient. 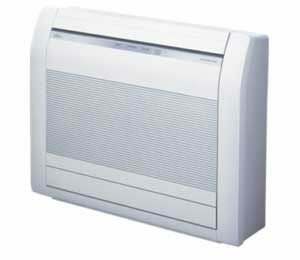 Auto Shut Louvre: The auto shut louvres close or open automatically when the unit stops or starts. Auto Restart: Should there be temporary loss of power; the unit will automatically restart itself in the same operating mode, once the power is restored. Program Timer: This timer allows selection of one of four options. Filter Sign: Indicates the filter cleaning period by lamp. All DC: With All DC, electricity loss is decreased and power consumption reduced. Auto-Changeover: The unit automatically switches between heating and cooling modes based on the temperature setting and room temperature. Double Swing Automatic: Complex swing action of the louvres enables them to swing automatically in both horizontal and vertical directions. Automatic Louvre: The position of the louvres is set automatically to match the operating mode. It is also possible to adjust the louvres using the remote control. Automatic Air Flow Adjustment: When auto mode is selected for the fan, the micro-processor adjusts the airflow to follow changes in room temperature. Sleep Timer: The micro-processor gradually changes the room temperature, allowing you to sleep comfortably at night. Economy Mode: Limits the maximum operation current, and performs operation with the power consumption suppressed. On-Off Timer: ON-OFF timer can be set to operate once every 24 hours. Blue Fin Heat Exchanger: Corrosion-resistance of the heat exchanger in coastal areas has been improved by blue fin treatment of the outdoor unit heat exchange. Right/Left Swing Louvre: The right/left louvre automatically swings in either direction. Up/Down Swing Louvre: The up/down louvre automatically swings up and down. Slim and lightweight, these floor models provide convenient access closer to the floor. Ideal for both residential or commercial applications. Auto Changeover: The unit automatically switches between heating and cooling modes based on the temperature setting and room temperature. At TC AIR we tailor, supply and install quality Daikin air conditioning systems to match your needs and budget – whether it be ducted, multi or single split system air conditioners. We take into account our customers specific needs and requirements to make their home as comfortable as possible, offer long-term value, reliability when you need it most and provide ongoing support and reliable service well after the installation. TC AIR was created and continues to operate as a customer-focused business. Our team of local tradesmen, apprentices and office staff strive daily to create an excellent experience and provide great customer service for our Illawarra customers. We want to exceed our customers’ expectations by providing a consistently great level of service – with responsiveness, timeliness and professionalism. Our fully trained technicians, no matter what age or experience, still go to Daikin school quarterly and are regularly in contact with Daikin Tech support keeping them up to date with the best the industry has to offer. This ensures we continue to provide the best service, experience and knowledge to The Illawarra. TC AIR pioneered the 5 Year Warranty on their Installation and continue to do so along with the Daikin 5 year product warranty. 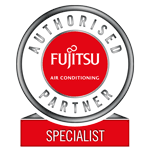 TC AIR is a trusted Fujitsu Authorised Dealer for the Illawarra – air conditioning the Wollongong area for over 25 years.